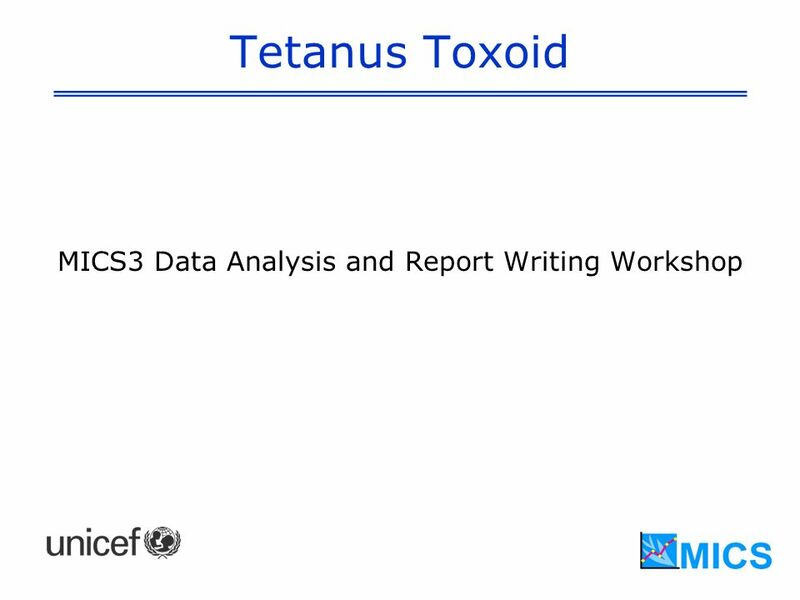 Tetanus Toxoid MICS3 Data Analysis and Report Writing Workshop. 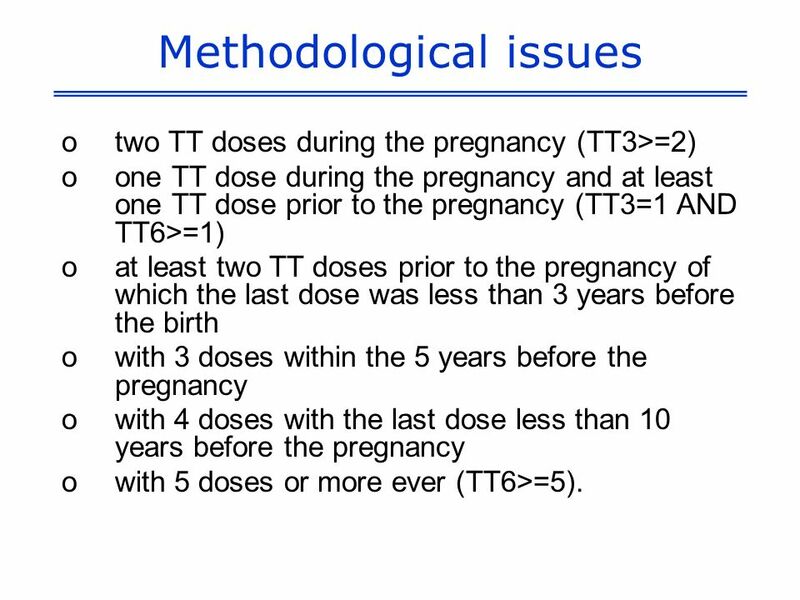 10 Methodological issues otwo TT doses during the pregnancy (TT3>=2) oone TT dose during the pregnancy and at least one TT dose prior to the pregnancy (TT3=1 AND TT6>=1) oat least two TT doses prior to the pregnancy of which the last dose was less than 3 years before the birth owith 3 doses within the 5 years before the pregnancy owith 4 doses with the last dose less than 10 years before the pregnancy owith 5 doses or more ever (TT6>=5). 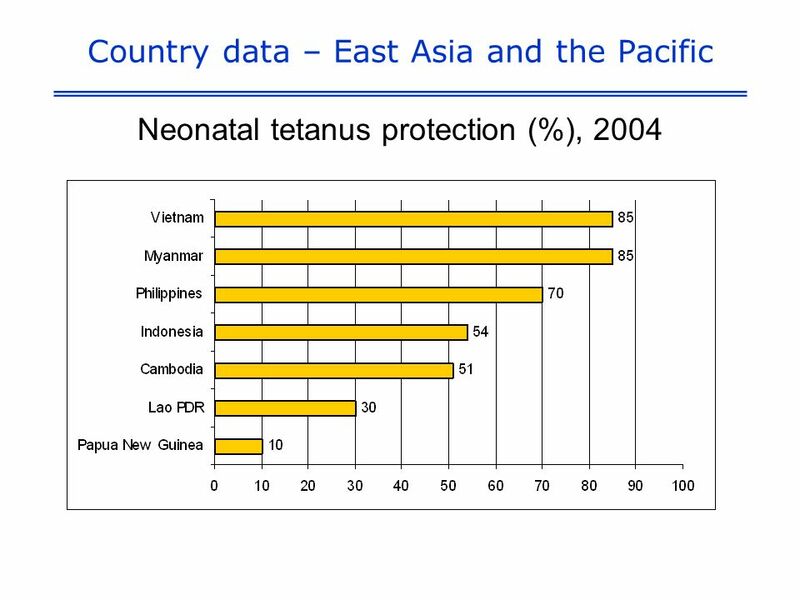 Download ppt "Tetanus Toxoid MICS3 Data Analysis and Report Writing Workshop." Skilled Attendant at Delivery MICS3 Data Analysis and Report Writing. Multiple Indicator Cluster Surveys MICS3 Regional Training Workshop Maternal Mortality. 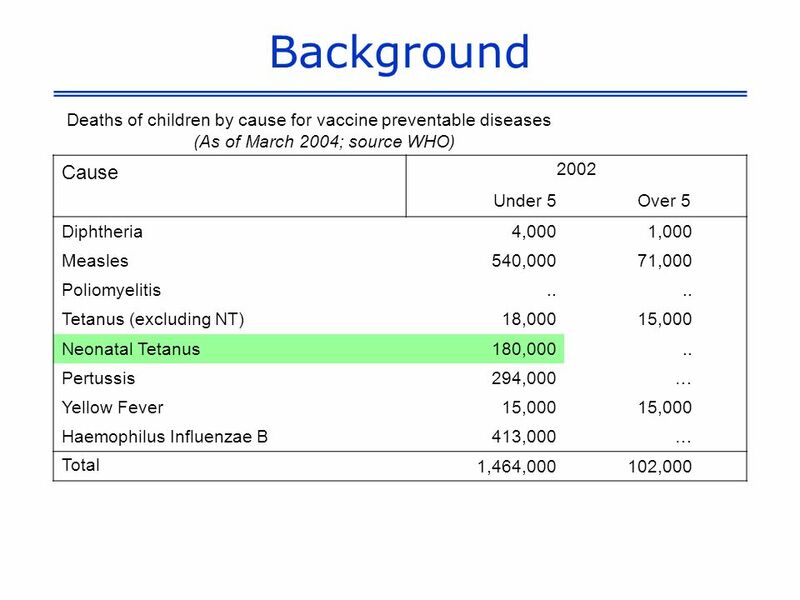 Immunization MICS3Data Analysis and Report Writing Workshop. 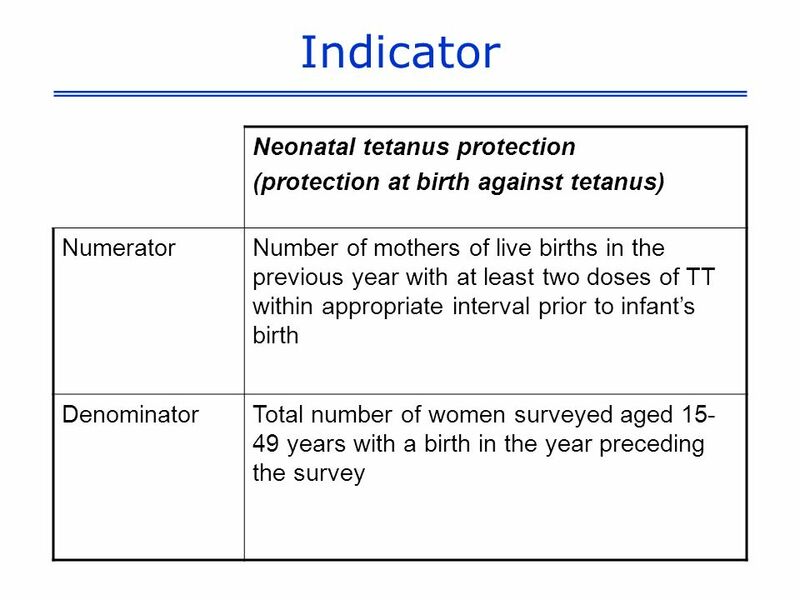 Womens Questionnaire TETANUS TOXOID MODULE. 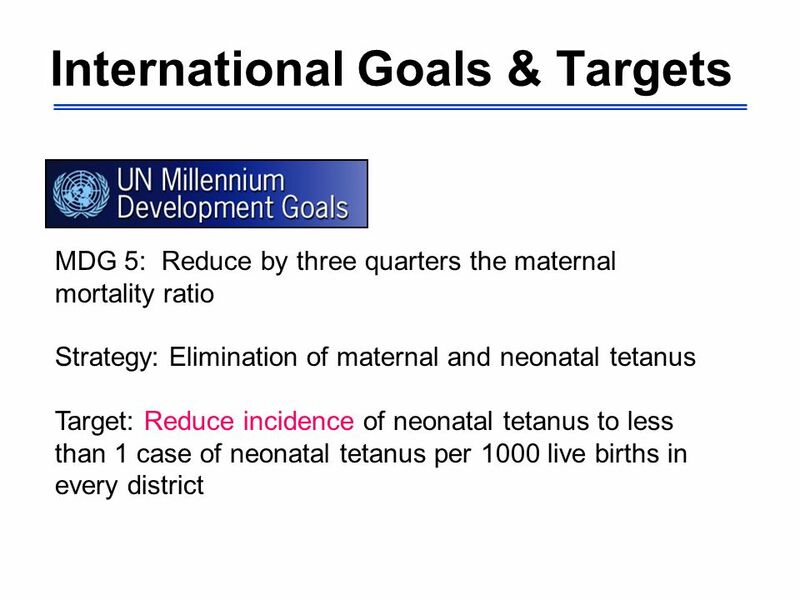 Goals and Targets MDG 5: Reduce by three quarters the maternal mortality ratio Strategy: Elimination of maternal. 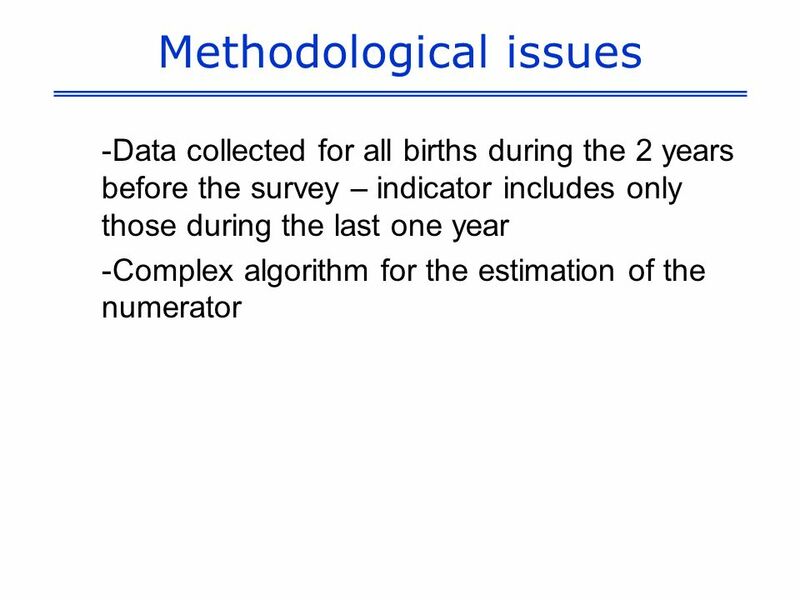 Contraceptive Prevalence MICS3 Data Analysis and Report Writing. 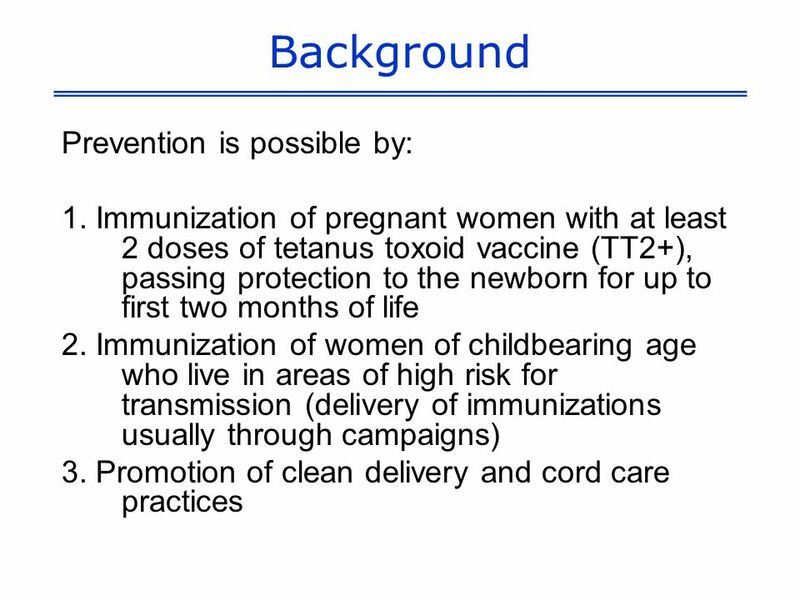 Under-5 Questionnaire Immunization Module. 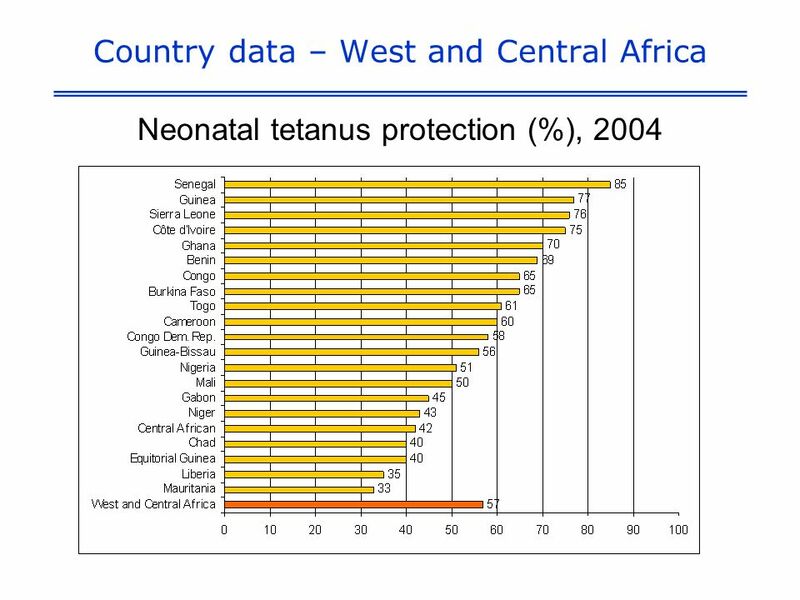 Global proportion of one year old children vaccinated against measles; Source: WHO UNICEF National. Multiple Indicator Cluster Surveys MICS3 Regional Training Workshop Child Mortality. MICS3 Activities: The Global Overview MICS3 Data Analysis and Report Writing Workshop. MICS4 Survey Design Workshop Multiple Indicator Cluster Surveys Survey Design Workshop Questionnaire for Children Under Five: Immunization. MICS4 Survey Design Workshop Multiple Indicator Cluster Surveys Survey Design Workshop Questionnaire for Individual Women: Maternal and Newborn Health. 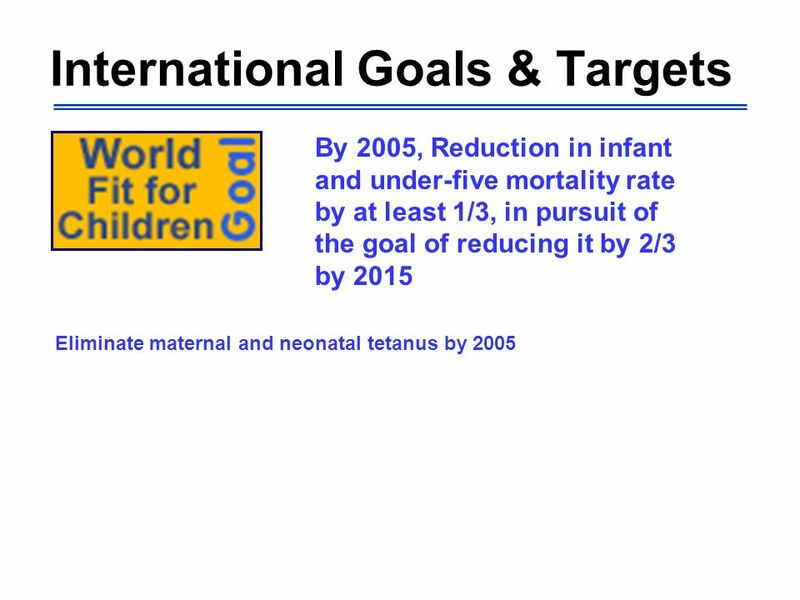 Vitamin A Supplementation MICS3 Data Analysis and Report Writing. 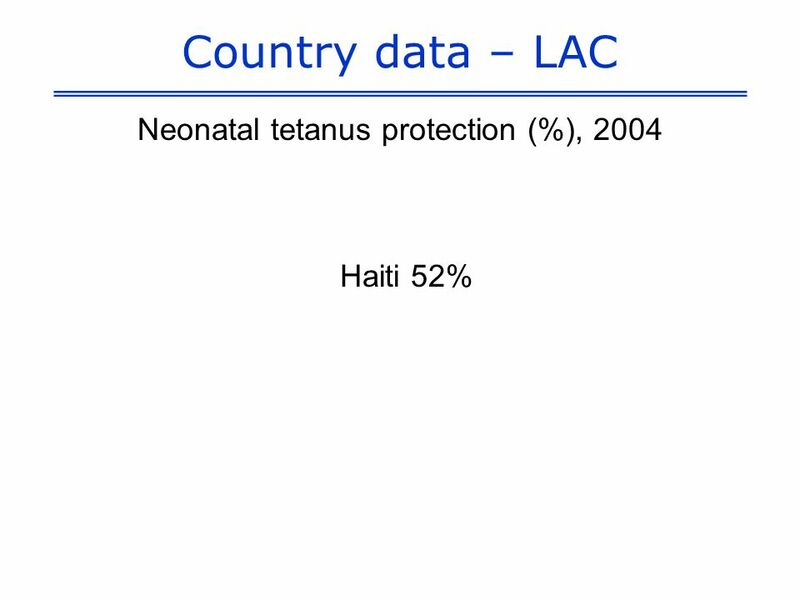 Antenatal Care MICS3 Data Analysis and Report Writing. 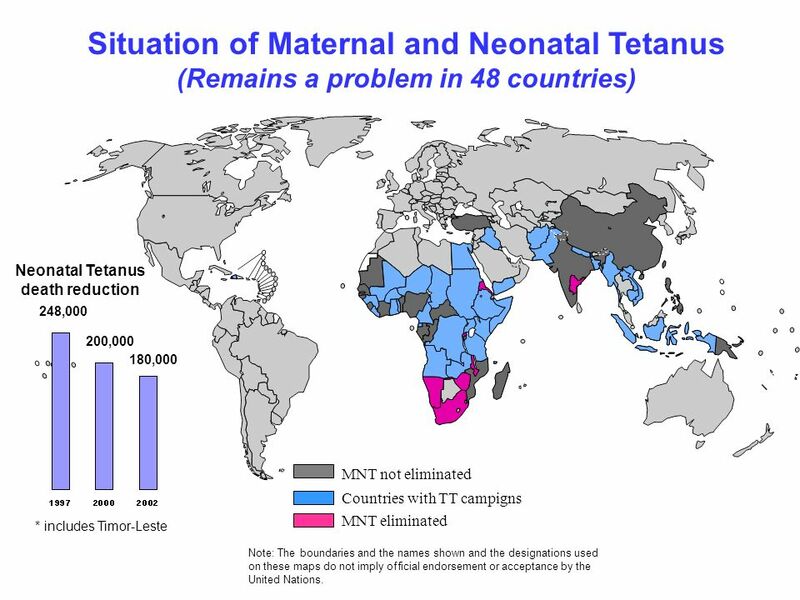 Maternal Mortality MICS3 Data Analysis and Report Writing. 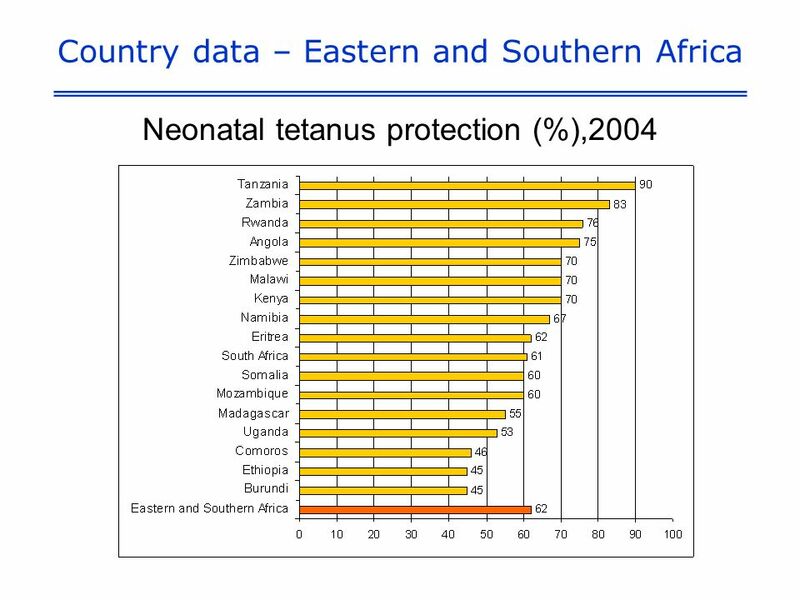 Maternal and Neonatal Tetanus Elimination (MNTE) in Kenya Dr Collins Tabu, National Vaccines and Immunization Program Ministry of Health, Kenya.